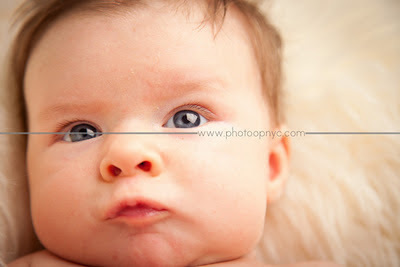 See below for a couple pictures of my cuties from our Saturday photo shoot at PhotoOp. Recently named "Best Portrait Studio" by New York Magazine, I knew we would be in good hands upon arrival in their Upper West Side studio (a sleek & modern space that felt cozy at the same time... how'd they do that?). While my official review is forthcoming, I wanted to show everyone whom I'm most thankful for this Thanksgiving week. I'm also excited to inform all the procrastinators out there who may or may not have thought about holiday cards yet (I'm raising my hand, too, don't worry) of a special event going on next week sponsored by the lovely ladies of Moms and the City. On Tuesday, November 29th, from 3-6pm, gather the family for a FREE mini-shoot at PhotoOp. Did I mention they also have the most adorable holiday cards at their disposal? We're talking one-stop shopping here. You'll also be given a free 5x7 photo of the image you select for your card. There are still timeslots available, so call PhotoOp at (212) 362-1911 to book your appointment! Thanks for sharing this! I just called and the appointments are only 3-6p.m. ; they had to change the time due to another event. So sad my husband won't be able to join, but I'll take my 15 month old daughter for a photo. Oh my gosh, so beautiful! Those are really great shots. Have to check them out. Those are such sweet shots of both of your babies! How cute!